Security camera systems for home or business are crucial to keeping your loved ones and property safe and secure. 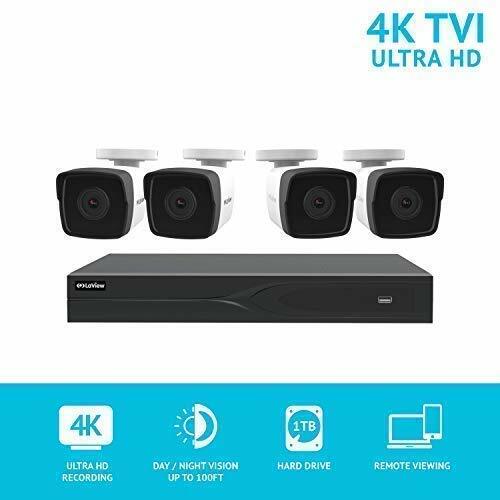 This premium ultra HD 4K system provides comprehensive coverage with the industry’s top-of-the-line surveillance technology. 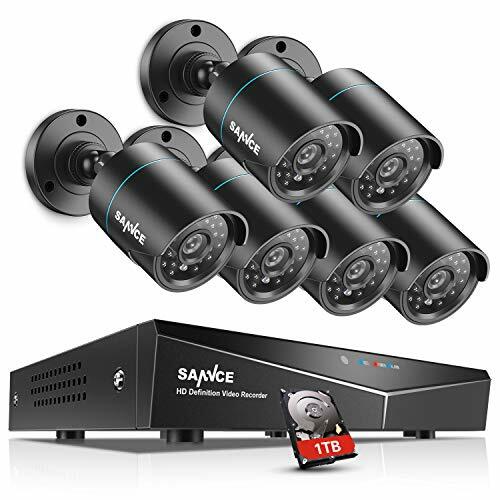 It’s the perfect security camera system to implement for the first time or to seamlessly upgrade older kits. Leave it to LaView to provide you with expert surveillance solutions and peace of mind, 24/7. IR Range: Up to 100ft. 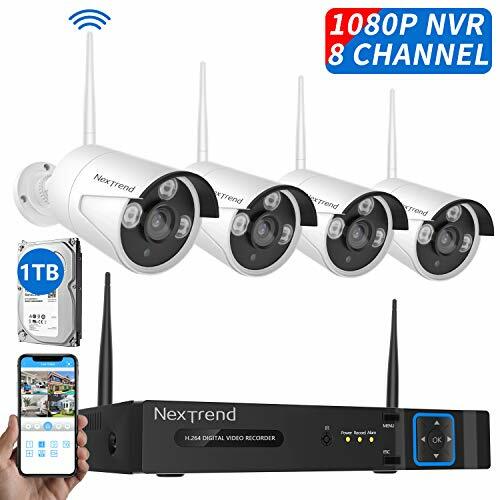 【Ultra HD 4K Security Cameras with Easy Installation】Ultra HD 4K bullet cameras provide comprehensive coverage with stunning clarity in image quality. 8MP resolution provides 4x the detail of 1080P. This HD camera system features simple installation with consolidated BNC cables for hassle-free set up. That means only having to run one cable per camera, which streamlines and simplifies your system. 【Record and Store more with H.265】H.265 compression technology allows you to store more on your surveillance-grade DVR. This doubles your recording capacity, leaving you without the hassle of constantly having to manage your recordings to accommodate new surveillance data. This represents the highest of compression technologies, saving you the most storage space and vastly improving bandwidth efficiency. 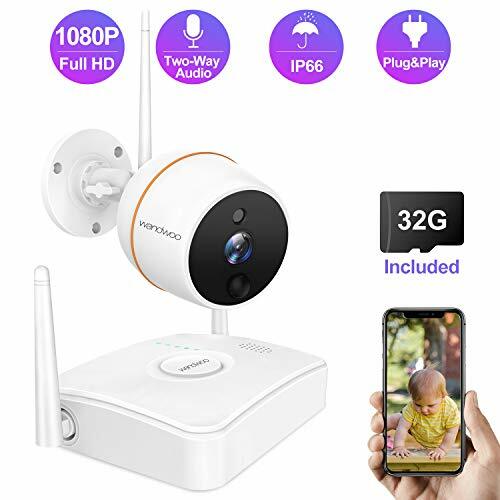 【Motion Detection with Mobile View】 This security camera system features customizable motion detection settings that allow you to choose specific areas within your camera’s field of view to be scanned for motion. When the motion sensors are triggered you will receive instant push notifications to your mobile device via our free mobile app. 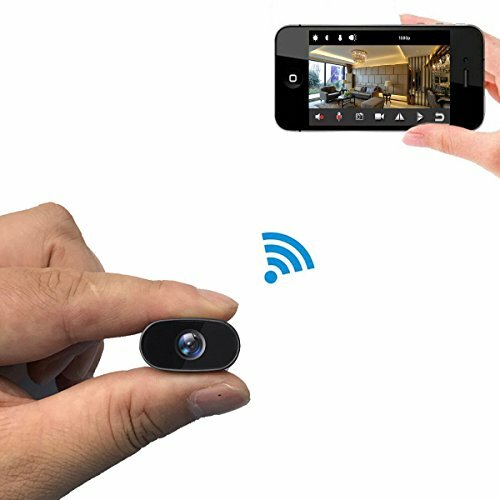 Watch your live view footage, manage recordings and stay aware of what’s going on with motion detection and instant remote viewing. 【Enhanced IR Night Vision – 100ft Night Vision】Maintain a high-quality view of your property day or night with enhanced IR night vision. 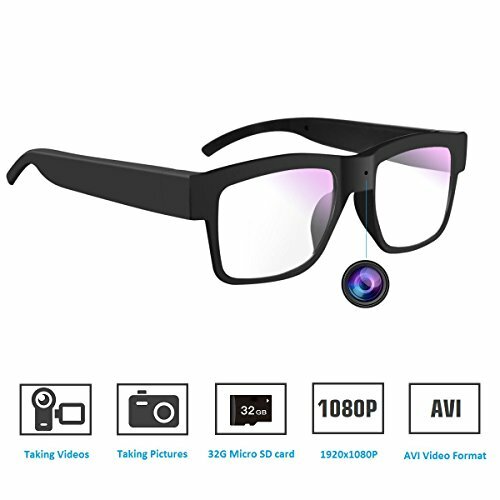 This feature will automatically turn on in extreme low light conditions to ensure that you can see up to 100ft even when the human eye cannot see. With IR night vision you will maintain your high definition view of your home or business 24/7. 【IP67 Weatherproofing】IP67 weatherproofing keeps your HD security cameras protected from the ingress of water and small particles. This makes them perfect for use in any weather. 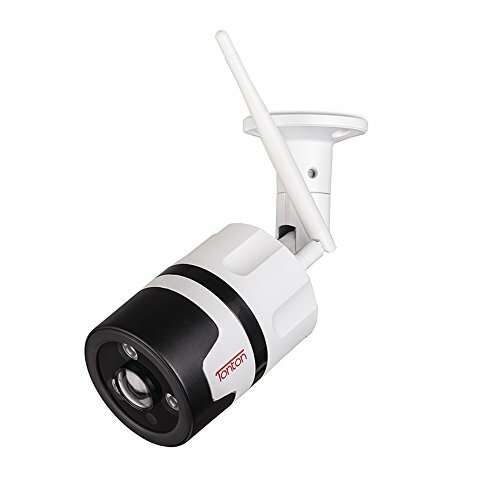 These weatherproof security cameras are great for outdoor or indoor use in any climate as their operating temperature ranges from -22°F to 140°F.